Any good portfolio will be composed of multiple projects, each of which may demonstrate 1-2 of the above points. This is the third post in a series that will cover how to make a well-rounded data science portfolio. In this post, we’ll cover how to make the second project in your portfolio, and how to build an end to end machine learning project. At the end, you’ll have a project that shows your ability to reason about data, and your technical competence. Here’s the completed project if you want to take a look. Atom, or an IDE like PyCharm is highly recommended. These tools will allow you to jump between files, and edit files of different types, like markdown files, Python files, and csv files. Structuring your project so it’s easy to version control and upload to collaborative coding tools like Github is also useful. This project on Github. We’ll use our editing tools along with libraries like Pandas and scikit-learn in this post. We’ll make extensive use of Pandas DataFrames, which make it easy to read in and work with tabular data in Python. /r/datasets — a subreddit that has hundreds of interesting datasets. Google Public Datasets — public datasets available through Google BigQuery. Awesome datasets — a list of datasets, hosted on Github. Fannie Mae Loan Data. Fannie Mae is a government sponsored enterprise in the US that buys mortgage loans from other lenders. It then bundles these loans up into mortgage-backed securities and resells them. This enables lenders to make more mortgage loans, and creates more liquidity in the market. This theoretically leads to more homeownership, and better loan terms. From a borrowers perspective, things stay largely the same, though. Fannie Mae releases two types of data — data on loans it acquires, and data on how those loans perform over time. In the ideal case, someone borrows money from a lender, then repays the loan until the balance is zero. However, some borrowers miss multiple payments, which can cause foreclosure. Foreclosure is when the house is seized by the bank because mortgage payments cannot be made. Fannie Mae tracks which loans have missed payments on them, and which loans needed to be foreclosed on. This data is published quarterly, and lags the current date by 1 year. As of this writing, the most recent dataset that’s available is from the first quarter of 2015. Acquisition data, which is published when the loan is acquired by Fannie Mae, contains information on the borrower, including credit score, and information on their loan and home. Performance data, which is published every quarter after the loan is acquired, contains information on the payments being made by the borrower, and the foreclosure status, if any. A loan that is acquired may have dozens of rows in the performance data. A good way to think of this is that the acquisition data tells you that Fannie Mae now controls the loan, and the performance data contains a series of status updates on the loan. One of the status updates may tell us that the loan was foreclosed on during a certain quarter. A foreclosed home being sold. Try to predict the sale price of a house after it’s foreclosed on. Predict the payment history of a borrower. Figure out a score for each loan at acquisition time. Figuring out which banks sold loans to Fannie Mae that were foreclosed on the most. Figuring out trends in borrower credit scores. Exploring which types of homes are foreclosed on most often. All of the above angles are interesting, and would be great if we were focused on storytelling, but aren’t great fits for an operational project. With the Fannie Mae dataset, we’ll try to predict whether a loan will be foreclosed on in the future by only using information that was available when the loan was acquired. In effect, we’ll create a “score” for any mortgage that will tell us if Fannie Mae should buy it or not. This will give us a nice foundation to build on, and will be a great portfolio piece. There’s an Acquisition file and a Performance file for each quarter, starting from the year 2000 to present. There’s a 1 year lag in the data, so the most recent data is from 2015 as of this writing. The files are in text format, with a pipe (|) as a delimiter. The files don’t have headers, but we have a list of what each column is. All together, the files contain data on 22 million loans. Because the Performance files contain information on loans acquired in previous years, there will be more performance data for loans acquired in earlier years (ie loans acquired in 2014 won’t have much performance history). These small bits of information will save us a ton of time as we figure out how to structure our project and work with the data. Separates data files and code files. Separates raw data from generated data. Has a README.md file that walks people through installing and using the project. Has a requirements.txt file that contains all the packages needed to run the project. Has a single settings.py file that contains any settings that are used in other files. For example, if you are reading the same file from multiple Python scripts, it’s useful to have them all import settings and get the file name from a centralized place. Has a .gitignore file that prevents large or secret files from being committed. Breaks each step in our task into a separate file that can be executed separately. For example, we may have one file for reading in the data, one for creating features, and one for making predictions. Stores intermediate values. For example, one script may output a file that the next script can read. This enables us to make changes in our data processing flow without recalculating everything. Predict whether or not loans acquired by Fannie Mae will go into foreclosure. Fannie Mae acquires loans from other lenders as a way of inducing them to lend more. Fannie Mae releases data on the loans it has acquired and their performance afterwards [here](http://www.fanniemae.com/portal/funding-the-market/data/loan-performance-data.html). The above libraries are the most commonly used for data analysis tasks in Python, and its fair to assume that we’ll be using most of them. Here’s an example requirements file for this project. After creating requirements.txt, you should install the packages. For this post, we’ll be using Python 3. If you don’t have Python installed, you should look into using Anaconda, a Python installer that also installs all the packages listed above. Finally, we can just make a blank settings.py file, since we don’t have any settings for our project yet. head and tail shell commands to look at the lines in the files. Do you see any columns that aren’t needed? It might be useful to consult the pdf of column names while doing this. The acquisition and performance datasets are segmented across multiple files. Each file is missing headers. The next step is to define the columns we want to keep. Since all we’re measuring on an ongoing basis about the loan is whether or not it was ever foreclosed on, we can discard many of the columns in the performance data. We’ll need to keep all the columns in the acquisition data, though, because we want to maximize the information we have about when the loan was acquired (after all, we’re predicting if the loan will ever be foreclosed or not at the point it’s acquired). Discarding columns will enable us to save disk space and memory, while also speeding up our code. Import a few needed libraries, including settings. Gets the names of all the files in the data directory. If the file isn’t the right type (doesn’t start with the prefix we want), we ignore it. Reads the file into a DataFrame with the right settings using the Pandas read_csv function. Sets the separator to | so the fields are read in correctly. The data has no header row, so sets header to None to indicate this. Sets names to the right value from the HEADERS dictionary — these will be the column names of our DataFrame. Picks only the columns from the DataFrame that we added in SELECT. Concatenates all the DataFrames together. Writes the concatenated DataFrame back to a file. Only execute if the script is called from the command line with python assemble.py. We could read in all the performance data, then use the Pandas groupby method on the DataFrame to figure out the number of rows associated with each loan id, and also if the foreclosure_date is ever not None for the id. The upside of this method is that it’s easy to implement from a syntax perspective. The downside is that reading in all 129236094 lines in the data will take a lot of memory, and be extremely slow. 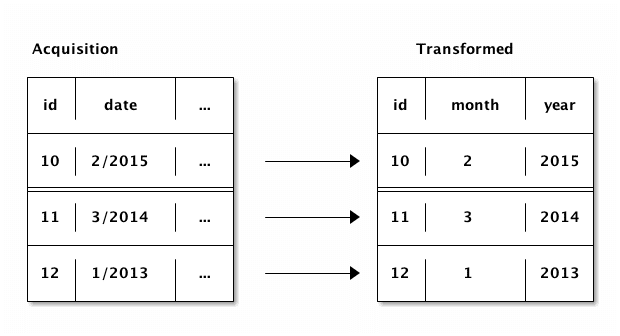 We could read in all the performance data, then use apply on the acquisition DataFrame to find the counts for each id. The upside is that it’s easy to conceptualize. We could iterate over each row in the performance dataset, and keep a separate dictionary of counts. The upside is that the dataset doesn’t need to be loaded into memory, so it’s extremely fast and memory-efficient. The downside is that it will take slightly longer to conceptualize and implement, and we need to parse the rows manually. Define a function called count_performance_rows. Open processed/Performance.txt. This doesn’t read the file into memory, but instead opens a file handler that can be used to read in the file line by line. Loop through each line in the file. Check if the loan_id is not in the counts dictionary. If not, add it to counts. Increment performance_count for the given loan_id because we’re on a row that contains it. If date is not None, then we know that the loan was foreclosed on, so set foreclosure_status appropriately. counts dictionary, and will enable us to assign a foreclosure_status value and a performance_count value to each row in the Acquisition data. The get method on dictionaries returns a default value if a key isn’t found, so this enables us to return sensible default values if a key isn’t found in the counts dictionary. Converting all columns to numeric. Filling in any missing values. Assigning a performance_count and a foreclosure_status to each row. Removing any rows that don’t have a lot of performance history (where performance_count is low). Creates a foreclosure_status column in acquisition by getting the values from the counts dictionary. Creates a performance_count column in acquisition by getting the values from the counts dictionary. Splits the column on the forward slash. Assigns the first part of the split list to a month column. Assigns the second part of the split list to a year column. At the end, we’ll have first_payment_month, first_payment_year, origination_month, and origination_year. Fills any missing values in acquisition with -1. Define a function to read in the acquisition data. Read in the acquisition data. Compute the counts for the performance data, and assign them to counts. Write the acquisition DataFrame to train.csv. False for every row, and still gets a very high accuracy. Instead, we’ll want to use a metric that takes the class imbalance into account, and ensures that we predict foreclosures accurately. We don’t want too many false positives, where we make predict that a loan will be foreclosed on even though it won’t, or too many false negatives, where we predict that a loan won’t be foreclosed on, but it is. Of these two, false negatives are more costly for Fannie Mae, because they’re buying loans where they may not be able to recoup their investment. We’ll define false negative rate as the number of loans where the model predicts no foreclosure but the the loan was actually foreclosed on, divided by the number of total loans that were actually foreclosed on. This is the percentage of actual foreclosures that the model “Missed”. Here’s a diagram: In the diagram above, 1 loan was predicted as not being foreclosed on, but it actually was. If we divide this by the number of loans that were actually foreclosed on, 2, we get the false negative rate, 50%. We’ll use this as our error metric, so we can evaluate our model’s performance. Train a model on groups 1 and 2, and use the model to make predictions for group 3. Train a model on groups 1 and 3, and use the model to make predictions for group 2. Train a model on groups 2 and 3, and use the model to make predictions for group 1. Splitting it up into groups this way means that we never train a model using the same data we’re making predictions for. This avoids overfitting. If we overfit, we’ll get a falsely low false negative rate, which makes it hard to improve our algorithm or use it in the real world. Scikit-learn has a function called cross_val_predict which will make it easy to perform cross validation. We’ll also need to pick an algorithm to use to make predictions. We need a classifier that can do binary classification. The target variable, foreclosure_status only has two values, True and False. We’ll use logistic regression, because it works well for binary classification, runs extremely quickly, and uses little memory. This is due to how the algorithm works — instead of constructing dozens of trees, like a random forest, or doing expensive transformations, like a support vector machine, logistic regression has far fewer steps involving fewer matrix operations. We can use the logistic regression classifier algorithm that’s implemented in scikit-learn. The only thing we need to pay attention to is the weights of each class. If we weight the classes equally, the algorithm will predict False for every row, because it is trying to minimize errors. However, we care much more about foreclosures than we do about loans that aren’t foreclosed on. Thus, we’ll pass balanced to the class_weight keyword argument of the LogisticRegression class, to get the algorithm to weight the foreclosures more to account for the difference in the counts of each class. This will ensure that the algorithm doesn’t predict False for every row, and instead is penalized equally for making errors in predicting either class. 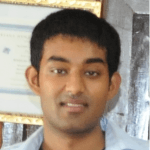 Creates a logistic regression classifier with the right keyword arguments. Creates a list of columns that we want to use to train the model, removing id and foreclosure_status. Run cross validation across the train DataFrame. Uses scikit-learn to compute a simple accuracy score (the percentage of predictions that matched the actual foreclosure_status values). Combines the target and the predictions into a DataFrame for convenience. Finds the false negative rate. Finds the false positive rate. Finds the number of loans that weren’t foreclosed on that the model predicted would be foreclosed on. Divide by the total number of loans that weren’t foreclosed on. Compute the 3 error metrics above. A high level overview of the project, and what the goals are. Where to download any needed data or materials. How to install the requirements. What you should see after each step. Good next steps for extending the project. Here’s a sample README.md for this project. Generate more features in annotate.py. Try using more data from Fannie Mae than we used in this post. Add in a way to make predictions on future data. The code we wrote will still work if we add more data, so we can add more past or future data. Try seeing if you can predict if a bank should have issued the loan originally (vs if Fannie Mae should have acquired the loan). Remove any columns from train that the bank wouldn’t have known at the time of issuing the loan. Some columns are known when Fannie Mae bought the loan, but not before. Explore seeing if you can predict columns other than foreclosure_status. Can you predict how much the property will be worth at sale time? Explore the nuances between performance updates. Can you predict how many times the borrower will be late on payments? Can you map out the typical loan lifecycle? Map out data on a state by state or zip code by zip code level. let us know! 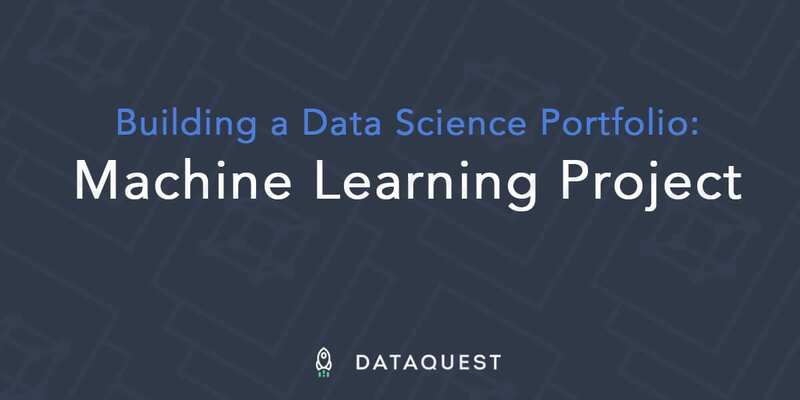 At Dataquest, our interactive guided projects are designed to help you start building a data science portfolio to demonstrate your skills to employers and get a job in data. If you’re interested, you can sign up and do our first module for free.